Long hair is often something girls dream about. To grow long hair is not difficult actually if you take care of it and follow simple rules of keeping them healthy. These rules are what we are going to talk about in this post. Rule #1. Forget about hats. Of course I don’t mean you shouldn’t wear a hat at all. You should, especially when it is too cold or too hot. When it’s freezing outside wear a light woolen or knitted hat, it is perfect for your hair and still keeps you warm. Unless the weather is extreme you don’t need to wear a hat. Generally speaking, hats, caps and other headwear can lead to you getting less hair on the head. To help your hair grow faster you need to provide more fresh air for your head skin to breathe and have a good heat exchange. Rule #2. Condition your head to the cold. And again I have no intention to say you should go bareheaded when it’s too cold. If you feel your head gets cold – don a hat. But on coming home do a massage of head skin. It will make blood vessels expand and is also useful for hair growing. Rule #3. Allow morning sun rays to pamper your hair for some time. But be careful not to overheat it. As soon as you feel too hot, don a hat. Rule #4. Go bareheaded when it’s raining and foggy. And be careful one more time! If you live in a megalopolis with lots of factories and plants this rule is for you to miss as you can do more harm than good for your hair. But if the area is clean warm rain and fog can make your hair silky and healthy. Rule #5. Be careful when choosing a hat. The right hat can’t be too tight as it might squeeze the blood vessels blocking the blood circulation in the head skin. Rule #6. 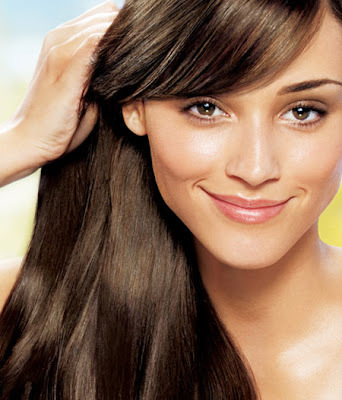 Stay away from wigs and chignons for they can pressurize the skin and the head blocking the airing and heat emission. They can be compared to very thick and tight hats. Too frequent hat wearing leads to insufficient airing and overheating of the head, which in turn causes intensification of perspiration and sebum workout. Thus, try to avoid wearing wigs every day and longer than 3-6 hours. After you take the wig off comb the hair thoroughly and leave it loose to ease the access of air to the head skin. Rule #7. Go through permanent waving, dyeing and bleaching as rarely as possible. They are harmful for the hair. Besides, when styling the hair try to avoid too tight ponytails, locks, etc. Loose hair is the best if you want to grow long healthy hair.